The home is where the heart is, so they say; and any house can be a home no matter how it looks or how it is built. If you’re looking for a house that’s cheap yet decent, then a double wide trailer is a fantastic option. These houses may not be grand but offer a modest place to live for families who simply cannot afford to buy luxurious homes. For about $40,000, you can already get yourself a nice looking double wide trailer. Families can be able to raise their children in lovely homes with backyards while not spending too much money. You also get an instant house with very minimal waiting time as trailer homes are prefabricated and sold ready-made by dealers. Start shopping for a trailer home today and experience the comforts of home with very little expense. What’s the Size of a Double Wide Trailer? A trailer home’s size may vary but the average size measures 20 feet wide and 90 feet in length. It also comes with a living room, a kitchen, a dining room, 2-3 bedrooms and 2 bathrooms. Since a double wide home is bigger than a single wide trailer, it is often delivered in two components. The delivery crew will then attach and install the trailer home and you get yourself an instant house. Think about your needs and how a mobile home can work to your advantage. A trailer home is cheap but may not be as durable as regular homes built from the ground. Consider the exact measurements of the trailer home by analyzing its floor plan. Look and go inside the mobile home as well so you’ll get a feel of what’s in store for you as a potential owner. You may also consider rent to own mobile homes as well as trailer home rentals to further stretch the household budget. Rental units are inexpensive and are highly fitting for families who won’t stay very long in a particular town. 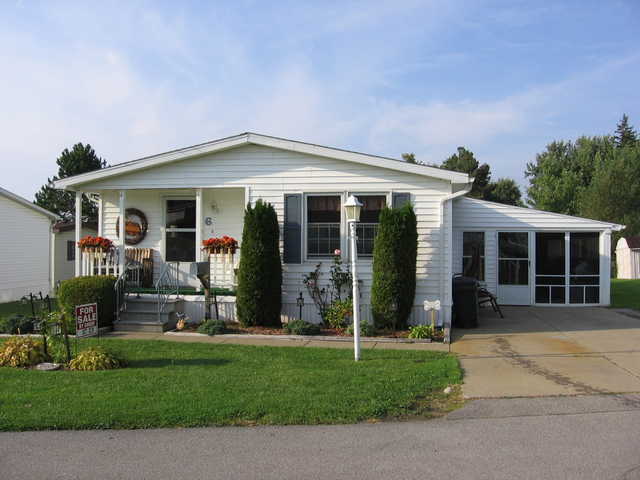 Mobile homes have a lesser resale value in the event that you decide to sell the house. You should therefore expect that you won’t be making any profit if and when the house is sold. Even if a mobile home is built for mobility, the house is often just left in its original location and sold or rented out to another person. Since mobile homes have lesser value the older it gets, this type of house may not be such a good investment if you have extra money. They’re practical solutions but may not exactly be wise investments. A double wide home is the right fit for people who need an immediate residence yet don’t want to spend a big amount of money. It is also for those who prefer a small and simple home that’s quick and easy to install. Double wide trailers can make a good home for any family. What matters most is that the home is filled with love and happy memories.